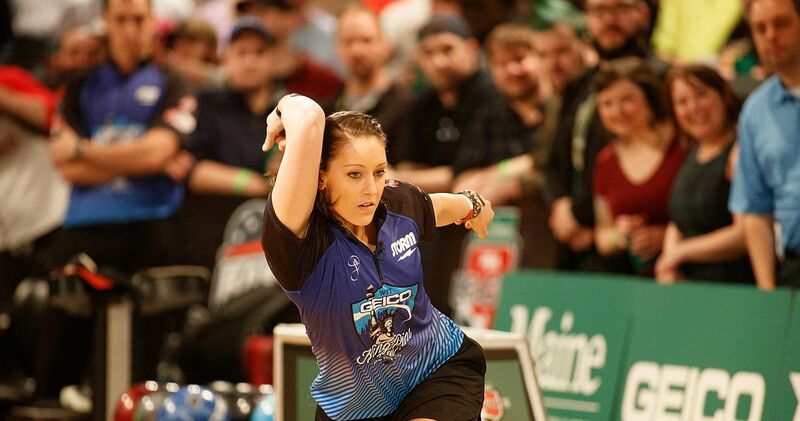 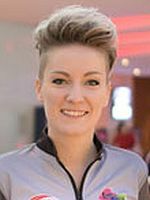 The 2015 and 2016 winner of the WBT Women’s finals (pictured above) totaled 372 points in the World Bowling Tour events in the years 2016 and 2017 to hold a 153-point lead over Diana Zavjalova (right) of Latvia, who was second with 219 point. 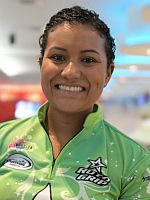 Anggie Ramirez Perea (left) of Colombia beat out Three-time PWBA Player of the Year, Liz Johnson, United States, for third place by 10 points, 210 to 200. 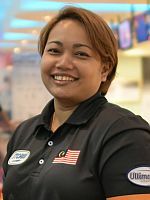 Zavjalova (169 points), McEwan (142) and Malaysia’s Shalin Zulkifli (right) 112) finished atop the annual points list to qualify for the World Bowling Tour Women’s Finals, which were held at the National Bowling Stadium in Reno last Sunday.